Have you ever got stuck looking at a large amount of travel credit cards? Don’t worry. Today, people spend hours comparing miscellaneous solutions, rewards and bonuses systems and still need professional help for choosing the right one. For example, certain business travel cards offer a complimentary Priority Pass to airport lounges. If you are here, you are a lucky one as you can find out what things to take into account while choosing the credit card option to meet your needs. Amount of sign-up bonus: Sometimes you can own a solution, which already offers 50000 miles to fly with a partnering airline. 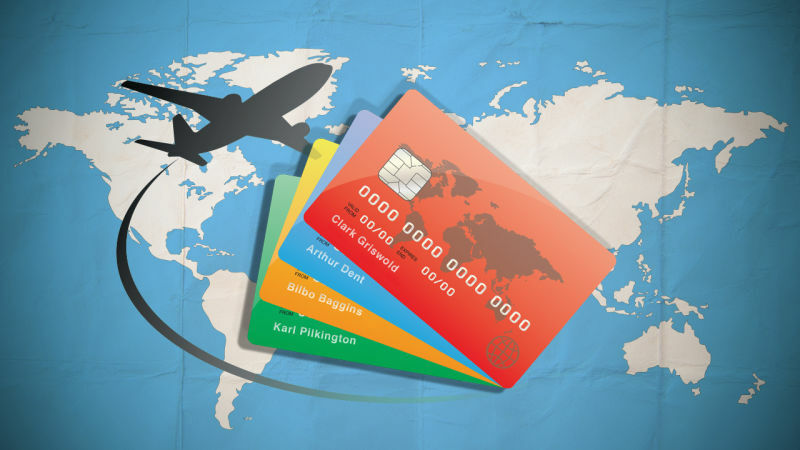 If you want to choose credit cards good for travel, options with large sign-up bonuses should become your main target. When selected carefully, the sign up bonus can provide a nice boost of miles, points or a combination of both. Which type of credit card you hold: According to Forbes, there are two types of travel credit cards, generic and brand-specific. The generic type may incorporate various types of benefits including both free nights in hotel networks or free miles with airlines. Meanwhile, the brand specific credit cards hold only a single type of benefits for clients. This could work for the corporate travel agents who tend to stay within the same network of hotels or airlines. The amount of annual fee: If the option you want to hold does not require an annual fee, it should never serve as a reason for rejection. Compare the amount of annual fee with the amount you are planning to save with your card and if your initial number is greater, you will only lose with this solution. The fact that you’ve received your favorite travel credit card is not the victory. Clients might not return their payment in time and worsen their score dramatically. They might receive a lot of debt and overpay for the interest on their loans. The key to remaining eligible for all travel credit cards is the ability to manage personal finance. If you have a habit of debt free living and you can manage your financial cash flows, you will not face any difficulties while choosing your travel solution. Combined with a strong credit score, applying to the card issuer should go smoothly. But if clients spend more than they earn – no lender will accept their application.